This study considers whether performance funding policies systematically tend to harm some types of institutions of higher education while helping others. Building on theories of deck stacking and institutional stratification, a formal theoretical model of the effects of performance funding policies on individual institutions is developed and discussed. We find two types of likely policy effects—one which serves to improve overall institutional performance and another which exacerbates unevenness among institutions in terms of quality. We then conduct an initial empirical test of our theory, analyzing a cross-sectional time-series dataset of colleges and universities in the U.S. Our findings are somewhat mixed. The adoption of performance funding policies appears to have the ability to boost overall average levels of degree production in some instances. However, performance funding 2.0 policies are also associated with larger variance in degree production rates. We find some evidence that 2.0 policies also have heterogeneous effects on graduation and retention rates, whereby the benefits of these policies disproportionately accrue to institutions already positioned to perform well. The online version of this article ( https://doi.org/10.1007/s11162-019-09551-1) contains supplementary material, which is available to authorized users. Complete College America. (2016). “Performance Funding” Accessed September 21, 2016. http://completecollege.org/the-game-changers/#clickBoxBlue. Florida College System. (2018). “2016–17 Performance funding model.” https://www.floridacollegesystem.com/resources/performance_funding_2016-17.aspx. Lahr, H. E., Pheatt, L. E., Dougherty, K. J., Jones, S. M., Natow, R. S., & Reddy, V. T. (2014). Unintended impacts of performance funding on community colleges and universities in three states (CCRC Working Paper No. 78). New York, NY: Community College Research Center. Retrieved from http://ccrc.tc.columbia.edu/Performance-Funding.html. Long, B. T. (2016). State support for higher education: How changing the distribution of funds could improve college completion rates. The Miller Center. http://web1.millercenter.org/commissions/higher-ed/Long_No9.pdf. Lumina Foundation. (2016). “Frequently Asked Questions: Outcomes-Based Funding” Accessed September 21, 2016. https://www.luminafoundation.org/outcomes-based-funding-faq. National Conference of State Legislatures. (2015). 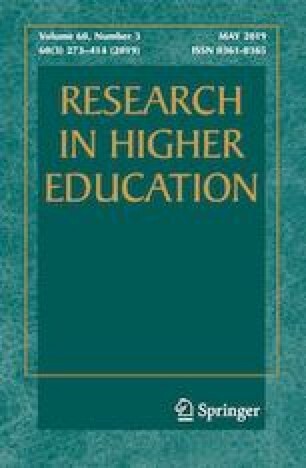 “Performance-Based Funding for Higher Education.” Accessed June 5, 2016. Available at http://www.ncsl.org/research/education/performance-funding.aspx. Smallwood, S., & Richards, A. (2011). How educational are state legislators? Chronicle of Higher Education. Accessed April 10, 2018. Available at https://www.chronicle.com/article/How-Educated-Is-Your/127845.